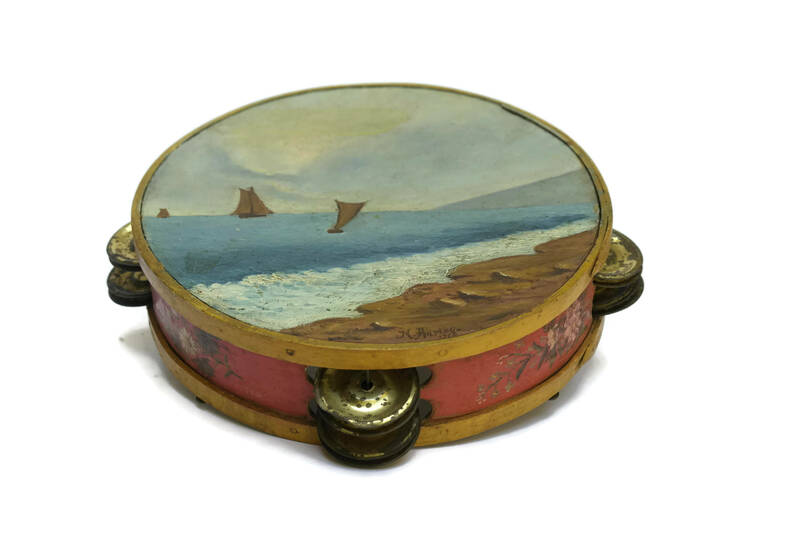 Hand Painted French Antique Tambourine. 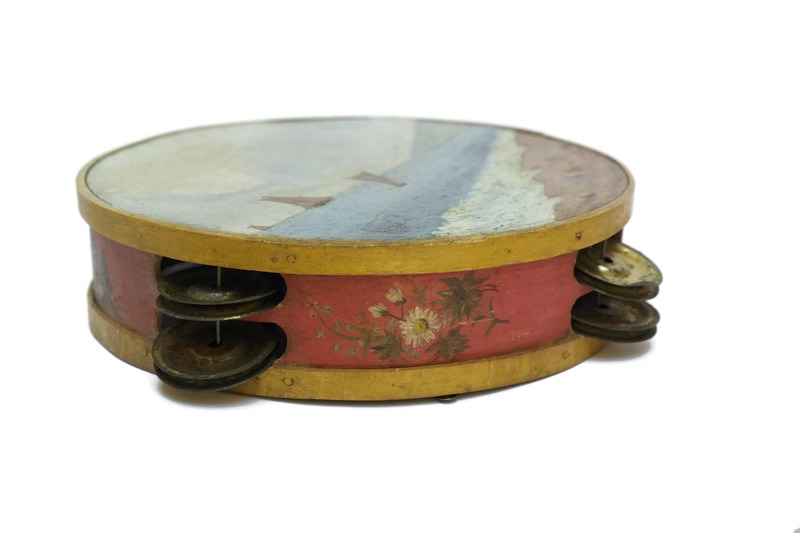 A rare French antique tambourine dating to the 1900's. 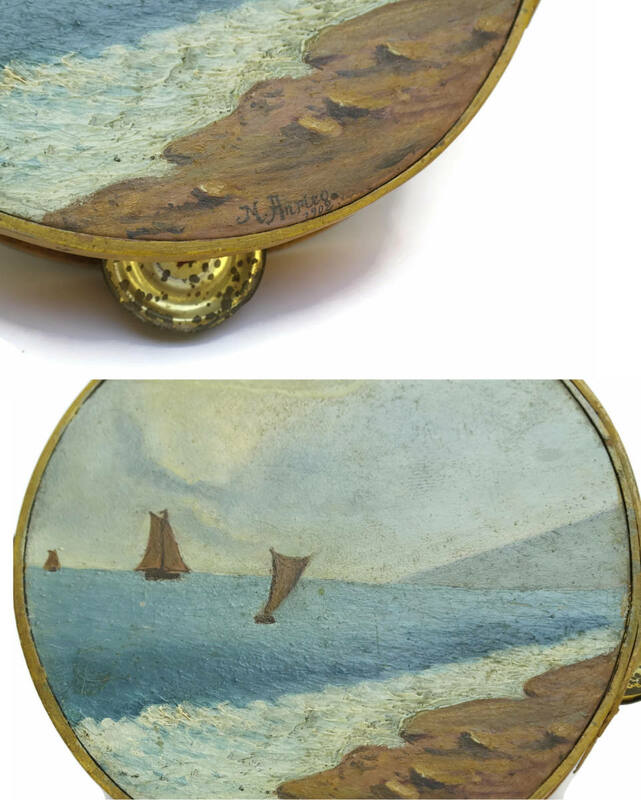 The top of the skin head drum has been hand painted with a seascape and sailing boats. The antique musical instrument has a wooden frame which has been hand decorated with painted folk art flower designs. It has three sets of small brass plated metal clappers. The bottom of the painting has been signed by the artist N. Arpico and dated 1902. 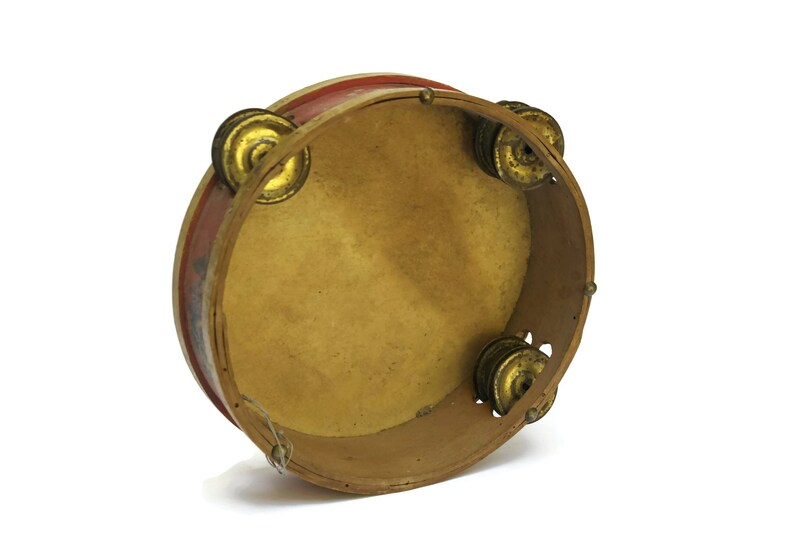 The tambourine is 8" (20 cm) in diameter and 2" (5,5 cm) Tall. 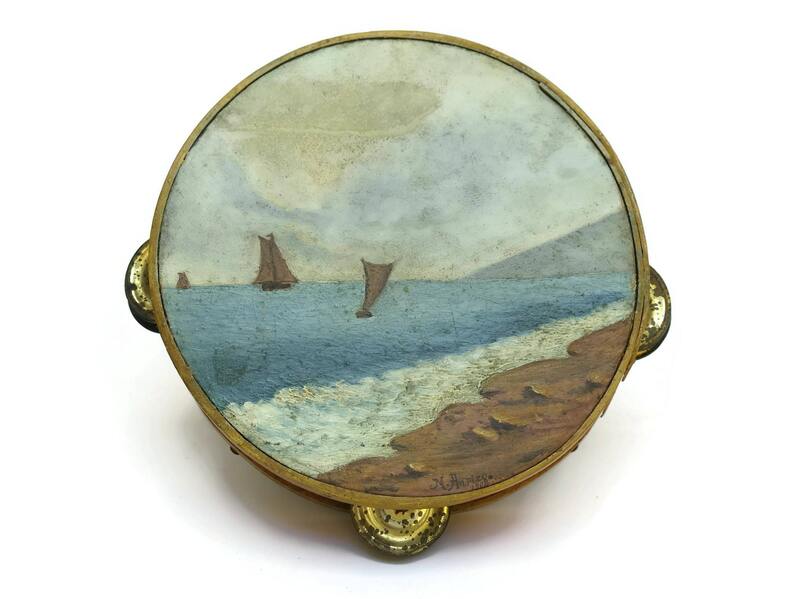 The hand painted antique tambourine is in good condition with signs of age including surface marks and wear. The stretched skin is still taut and the clappers ring clearly.